Welcome to Archway Learning Trust. 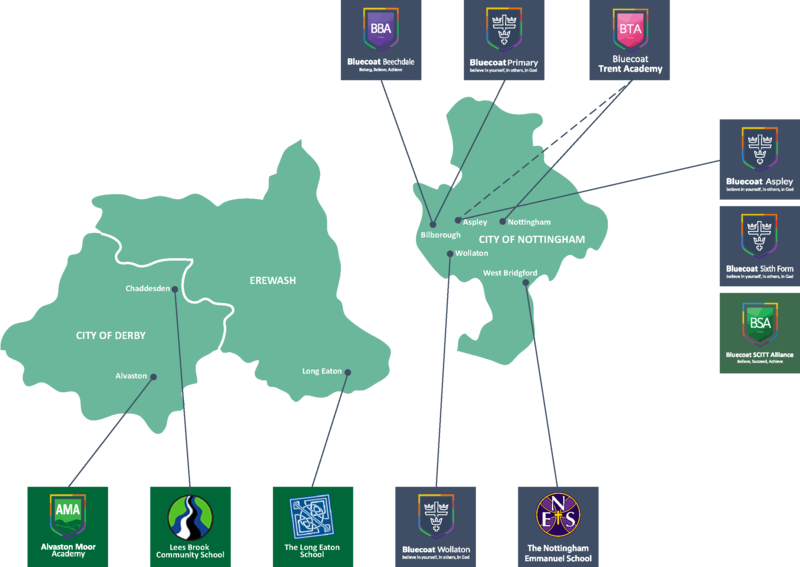 Our growing family of academies is based in and around Nottingham and includes children from their first day at nursery all the way through preparation for university and lifelong learning. The Trust is made up of both Church of England academies and schools of no designated religious character. All our schools believe passionately in the transformational power of education for each individual, and that this is enhanced through collaborative working between our academies. School to school support in overcoming barriers for learning, reducing workload and building our family is central to our vision as a Multi Academy Trust. Our central team provides Trust-wide improvement and support services, shares best practice, and delivers the strategic development. We encourage all of our academies to retain a high level of autonomy and individual character, understanding their own local context so as to best serve their local community. Please take some time to look round our website and find out more about what we do and how we do it. We will be very glad to answer any questions you may have or to arrange a visit to find out more about us.